File photo A neglected property, shown last spring, is among properties targeted for blight removal in Minot. The City of Minot purchased two blighted valley properties this month through a program developed to ensure the long-term stability and resilience of neighborhoods impacted by the 2011 Souris River flood. 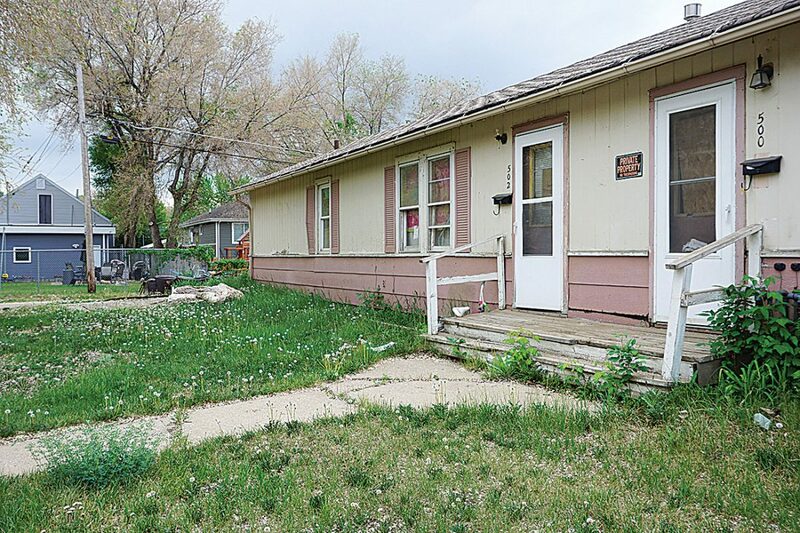 The purchase of homes through the Spot Blight Program was approved by the Minot City Council in 2018 using $800,000 in Community Development Block Grant-Disaster Recovery money allocated in 2012, according to a news release from the city. Roughly 35 properties were identified by the City of Minot in early 2018 as meeting the definition of blighted due to flood damage. The property owners were notified of the need to show intent to repair their home, or their property could be considered for acquisition. Of the properties that were initially considered for the program, 32 remain on the city’s watch list. Two of those properties are making notable progress toward a certificate of occupancy, while some others have permits for reconstruction but are showing limited or no progress. Three properties were noted as “bank-owned” when the city began the process. Some others are in various stages of the foreclosure process. Along with the two recently purchased, three more are considered “willing sellers” through the Spot Blight Program. Offer prices to purchase homes were developed via independent appraisals, which were then reviewed by the city assessor’s office. Homes acquired by the city will be demolished and turned into green space until a future use is determined. The goal is for the city to sell these properties, most likely to neighboring property owners through the Neighbor Next Door program. Staff will make a recommendation to the city council on a disposition policy, and the council will make the final decision.